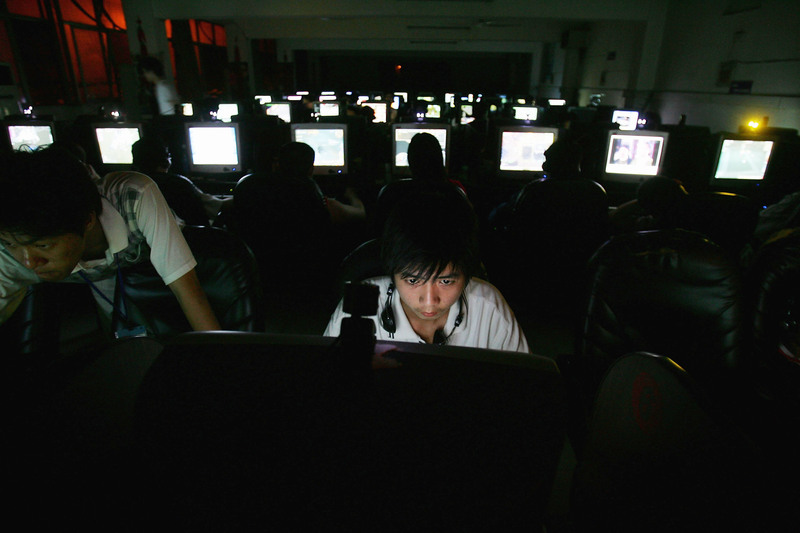 Chinese youngsters play online games overnight at an Internet cafe on June 11, 2005, in Wuhan, Hubei Province. There are now over 700 million Internet users in China. Adam Segal is the Maurice R. Greenberg Senior Fellow for China Studies and Director of the Digital and Cyberspace Policy Program at the Council on Foreign Relations. His latest book, The Hacked World Order, provides an in-depth exploration of the issues that most states and large companies now confront in cyberspace. It covers everything from the Twitter wars over Gaza to German reactions to the Snowden leaks. Our conversation focuses on how China sees cyberwarfare, cyberespionage, Internet security and sovereignty, and how the nation’s perspectives differ from America’s. Adam presents a sometimes unsettling but sober and balanced analysis of Chinese and American approaches to attacking, defending, and spying in digital realms. He defines a moment he calls “Year Zero” of the hacked world order, a period from mid-2012 to mid-2013 that saw cyberspace abandon its utopian tendencies and transform into a full-on battlefield. Our conversation also covers specific incidents, such as the U.S. Department of Justice’s espionage charges against five Chinese hackers and the Chinese infiltration of the U.S. Office of Personnel Management’s database, as well as the capabilities and ethical concerns of China, the United States, and other nations.